Piano Hi-Lite is the first plug-and-play LED strip that can help anyone start playing piano in minutes. 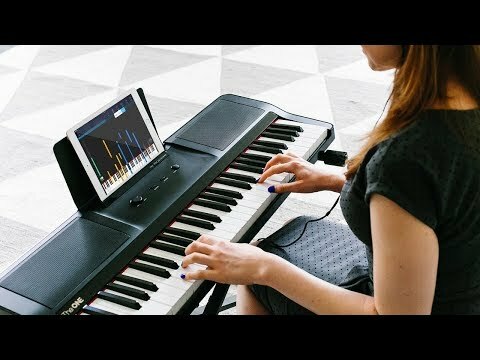 Transform any 88 key piano or keyboard into a smart one. Pick from the library of videos and digital sheet music. You can stop, rewind, and slow down whenever you want. Just attach this LED strip to your keyboard and sync your device to the strip where LED lights guide you with step-by-step and hand-by-hand instructions. Dimensions: 48" x 0.85" x 0.83"